MOUNT ELIZA-based racehorse trainer Anthony Freedman came to the fore in yet another Australian Group 1 sprint on Saturday 6 April. Ridden patiently by Mark Zahra, Freedman’s star sprinter Santa Ana Lane pounced down the straight to overrun his rivals in the $2.5 milllion T. J. Smith Stakes (1200m) at Randwick to claim his fifth Group 1 race. Santa, as he’s affectionately known, defeated a star-studded field of sprinters by 3.5 lengths and further enhanced his profile as one of Australia’s best sprinters. 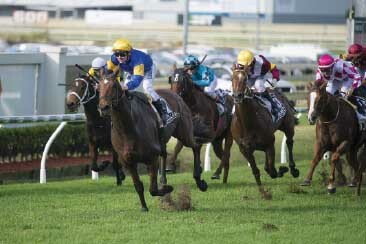 Freedman said he has felt that the six-year-old gelding has been a top-quality animal for some time. Jockey, Mark Zahra, described Santa Ana Lane’s run as an ‘amazing victory’. “He was a bit cranky in the gates,” said Zahra, who was replacing injured regular rider Ben Melham. The victory brought up Freedman’s 10th Group 1 from 37 starters since 2017. Freedman said the stable was now considering taking Santa Ana Lane to Hong Kong for the Chairman’s Sprint Prize (1200m) at Sha Tin on 28 April with Royal Ascot during June also a long-term option. “We will obviously give Hong Kong serious thought and if things are still good, we will head on to Europe,” he said. “He’s clearly gone to a huge level now. I’ve sort of worked him out. I know how to train him and that is the key with horses, the trainer works out how to train them and you get the best out of them.